A USB memory drive (your choice of 4GB / 8GB / 16GB / 32GB sizes). 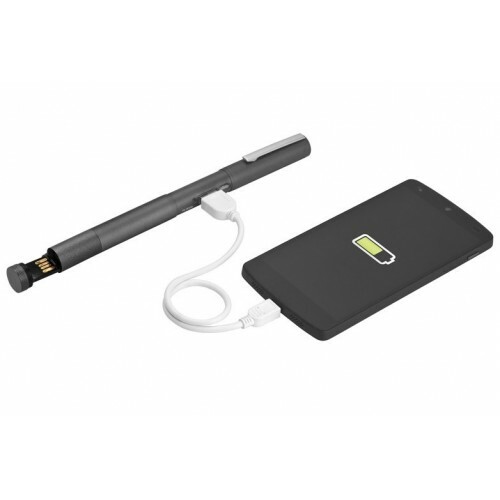 A 650mAh power bank charger for phone battery emergencies. 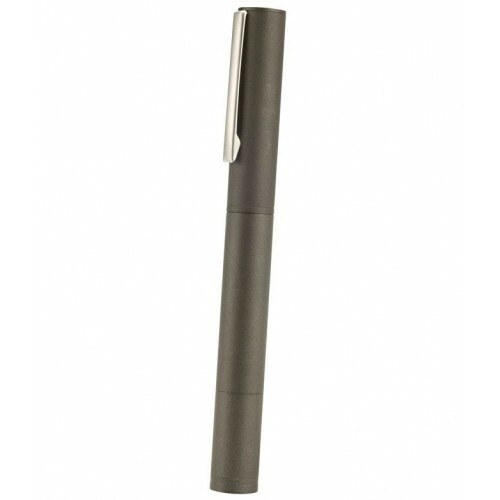 Stylish ballpoint pen for jotting down notes, whatever your location. The best part is that we custom decorate each unit with your logo design using either pad printing or laser engraving. Give these charger USB pens to valued clients, important guests, or just to show someone you care. Order today for speedy delivery to your Australian location. Give your recipients the gift of security with these USB Phone Charger Pens featuring your logo or slogan design. Each unit can be used to store data as well as boost any lagging phone batteries. We customise these items with logo decoration. The pricing we provide covers one position decoration in your choice of up to three solid pad print colours OR laser engraving. 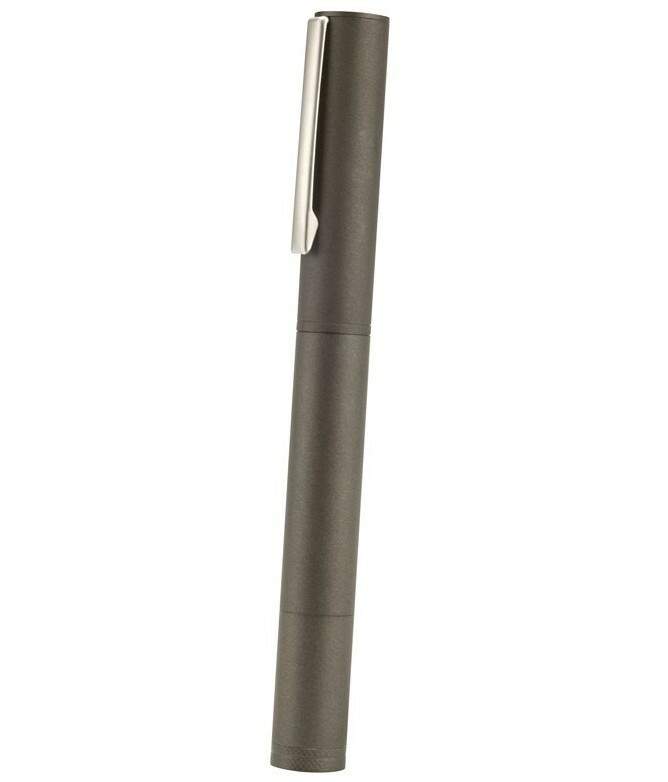 Once we complete the branding process, your USB charger pens will be ready for giving to peers, clients or audiences. Add a premium touch by ordering additional packaging and accessory extras to go along with the branded USB Phone Charger Pens - your recipients won't be disappointed! 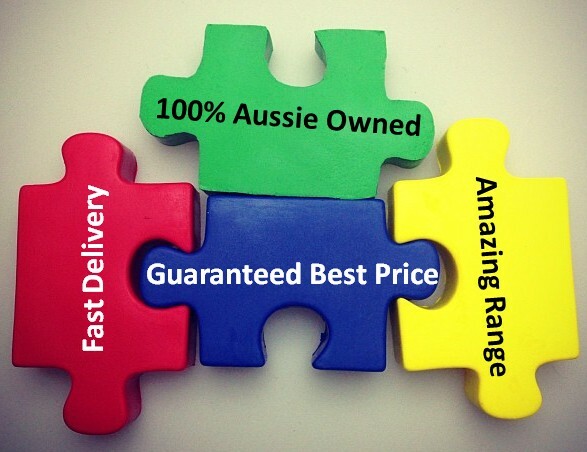 USB Planet delivers custom branded flash drives to clients all over Australia. We are proud to service all states and territories including QLD, VIC, NSW, ACT, NT, SA, WA and TAS. The standard turnaround time for these unique USB units is 3-4 weeks from your artwork approval and invoice payment. If you require your units sooner, please speak to our friendly sales team to see what can be arranged.